Imagine a bedroom with a bed and other pieces of furniture only. What would it look like? It would be Just a bare room with no style or thing of interest. This suggests the importance of bedroom accessories that complement the furniture to bring out the classy elegant or modern look that you want your bedroom to portray. Even if you have a low budget you can intelligently choose as to which accessories would best improve your room. Some of these accessories are used only for decorative purposes but others are stylish as well as functional. Some of the most common bedroom accessories include rugs, curtains, wall decorations, lamps, mirrors, bedside tables, decorative blankets and pillows, storage boxes, shelves etc. These accessories are small but carry and deliver significant details. There are many home improvement retail stores that offer variety of bedroom accessories and much more. One of the most popular brands is “Linens ‘n Things”. The extensive range of “Linens ‘n Things” includes a wide variety of bedroom accessories in assorted sizes, shapes, colors, styles and designs. When considering bedroom accessories, changing the look of the room can tickle your mind. But it can be made easier with a bedroom comforter. They are soft, warm, and inviting enough to make people cuddle in them. They come in many colors and sizes and add a colorful charm to the bedroom. From single to King size beds and from light-weight to heavy-weight, these accessories offer a distinctive and wide range from which you can pick out the one that fits your style and taste. The light weight comforters are used in all four seasons because they are relatively thinner. The medium weight comforters are very common and quite popular too, because they can be used the whole year in moderate climatic areas. The heavy weight comforters are used mostly in extreme climatic areas where winters are very cold. Bedroom comforters include Pacific Coast comforters, down comforters, allergy free comforters and bed comforters. Once you choose the comforters, now select the pillows or blankets for complete decoration. Choose colorful patterns that will enhance the bedding décor. Do not use so much colors or patterns, it may clash or ruins the beauty of bedroom comforters. Try to stick with simple or solid patterns that bring out the beauty of comforters or other bedroom accessories. 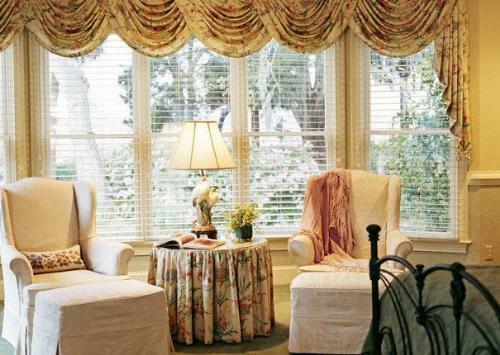 Decorative or functional curtains can be best accessory for bedroom decoration. It keeps your bedroom cool and gives you privacy. You have various options for bedroom curtains, linen curtains, box pleated curtains, swag and jabot style curtains, layered curtains or transparent curtains. 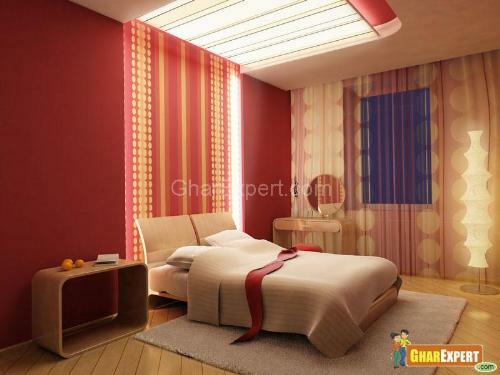 While choosing bedroom curtains length or color of curtains is important. Try to match color of curtains with bedding or color of adjacent walls. For bedrooms having dark walls, use curtains with lighter trim or alternating it with sheer or transparent curtains. Short windows can look unique or better with window blinds. When choosing various accessories for bedroom, also consider floor lamps, ceiling lamps, table lamps or recessed lighting. 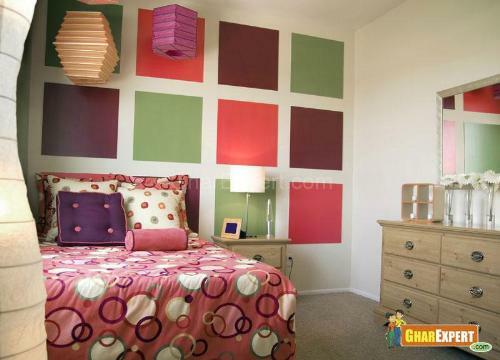 Apart from necessary lighting fixtures decorative lamps can add artistic appeal to bedroom. Recessed lightings can be used to highlight artwork, photo frames, paintings or wall decorations. 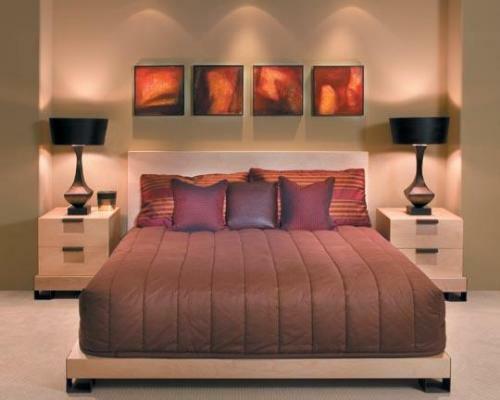 Use of dimmers in bedroom create romantic and soft ambience. 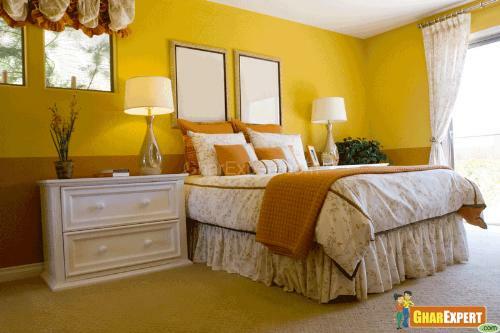 Before selecting lamps for bedroom, make sure lamps are functional as well as decorative. While bedroom accessories can change the look of your bedroom, they can also destroy whole beauty of bedroom if not properly synchronized. You can add bedroom accents to give a classy touch to your bedroom. 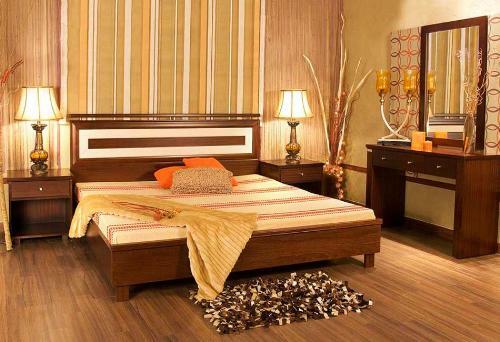 Your bedroom reflects your personality to a great extent. 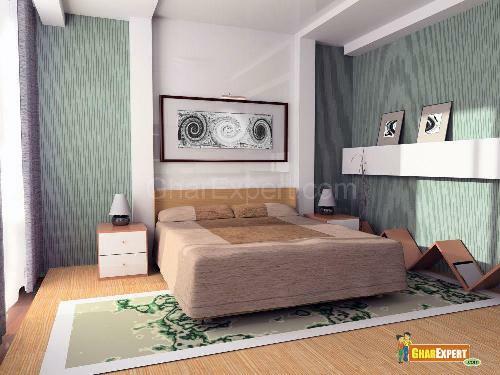 So, it is essential to choose design elements that add temperament to your bedroom. Bedroom decoration is incomplete without decorative wall accents. People would really love visiting your bedroom as it would look always refreshing. You can buy economical range accents so that they can be changed frequently. You can pick floral decoration pieces that can be placed on the wall, a crafted table size art piece, an ornamental mirror decorated with your favorite embellishments. All in all, choosing bedroom accessories takes little creativity and intelligence but gives elegance and class. Bedside table is nice space for table lamps, decorative flower vase, nice scented candles or other decorative accessories. Bedroom accessories also include area rugs or carpets. Area rugs or carpets have ability to change the overall appeal of bedroom and can convert boring interior into exciting with the introduction of rugs in bedroom. 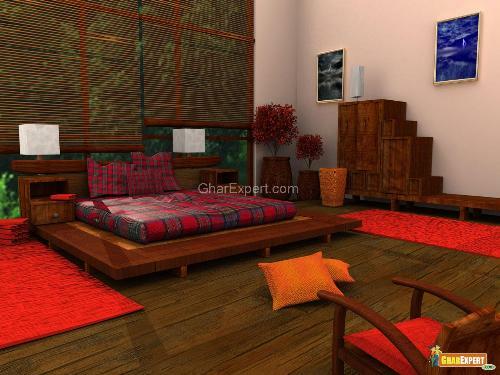 Area rugs are flexible accessories in bedroom. It brings color, texture and style to bedroom with functional addition of comfort to feet.